This is the last Bacchanal of the spring season…we’ll be back in September! 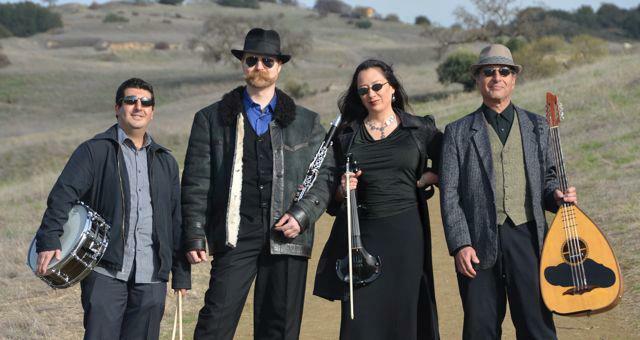 The Disciples of Markos are the Bay Area’s only band dedicated to exploring the Golden Age of Greek Rebetiko. 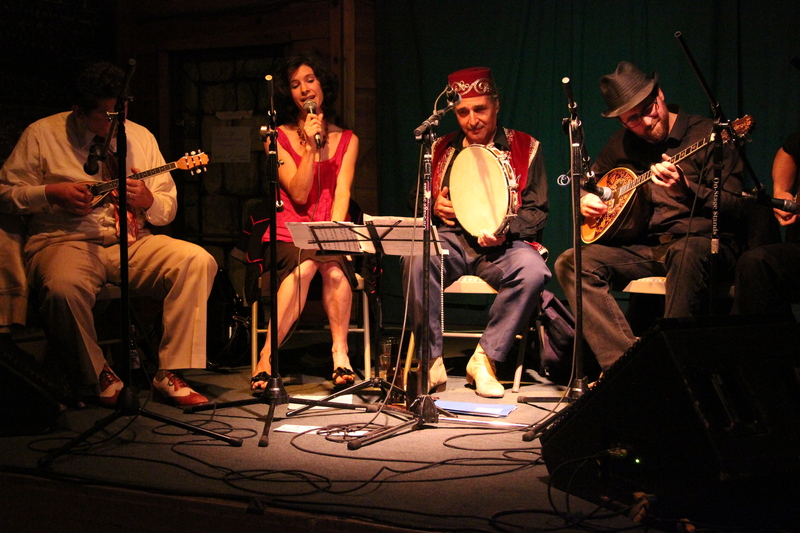 Rebetiko is the music of the 1930s Greek Underworld, the music of gangsters, dopers, thieves, and bohemians. This heavy, low down music told the stories of the hardscrabble underworld Rebetika life of knife fights, drug busts, love and longing.The band takes it’s name from Markos Vamvakaris, the Godfather of rebetiko, and the heaviest, most stoned-out bouzouki player of them all. We’re lucky to have another chance to see and hear the fantastic Veretski Pass here at the Bacchanal. 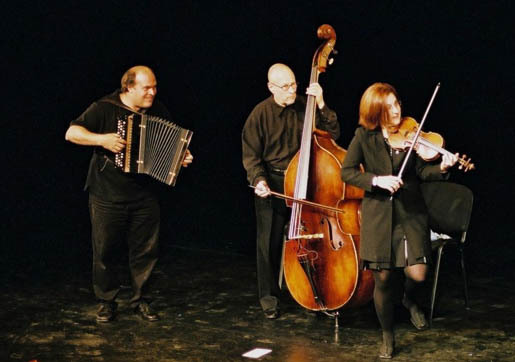 Veretski Pass is a trio of seasoned pros who have as gone as deep as anyone in mining the history of Klezmer and other Jewish music from the Balkans and Eastern Europe. 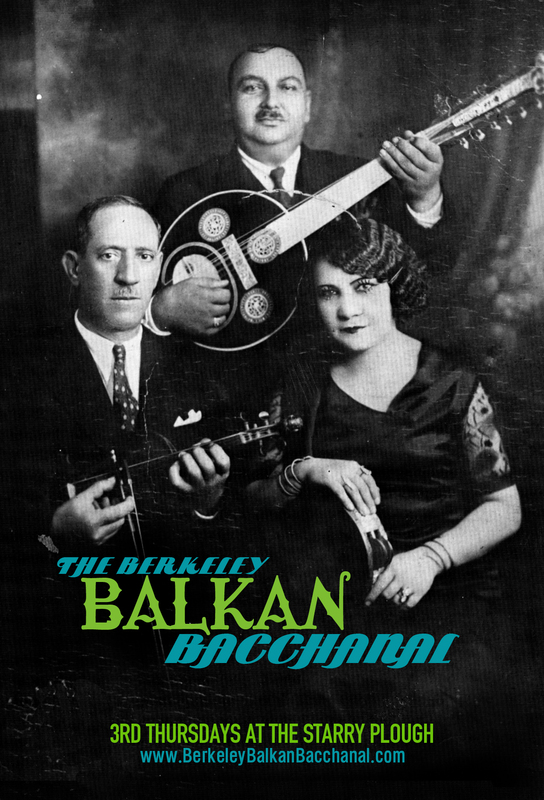 In a true collage of Carpathian, Jewish, Rumanian and Ottoman styles, typical suites contain dances from Moldavia and Bessarabia; Jewish melodies from Poland and Rumania; Hutzul wedding music from Carpathian-Ruthenia; and haunting Rebetic aires from Smyrna, seamlessly integrated with original compositions. Veretski Pass recently performed at the Concertgebouw Concert Hall in Amsterdam, and their CDs have repeatedly been on the 10-best recording lists of journalists.